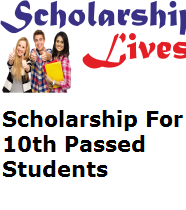 Welcome to the page where you find the latest list of Scholarship For 10th Passed Students. Nowadays, Study is very costly for every but education remains the key factor to complete dreams in this most competitive world. Our team provides the update Scholarship list of 10th Passed Students below in the form of the table. A massive no. of students in our country does not continue their studies after 10th due to high economic support. Scholarships for 10th class students play a very important role to continue their studies without any financial problem. Through this scholarship scheme will get financial aid and they will also be confident to achieve their dreams without any economic problem. I want to do more in my studies but unfortunately i didn’t get chance due to financial crisis. Please sir do help me, i want to apply scholarship lives from jio.